Over the course of a writing career, we develop business relationships, gain acquaintances, make friends, and acquire critique partners, but how often do we find that one writer who becomes our writing buddy? If I attempted to list all the writers I consider friends, I fear I would fail to mention someone, so forgive me in advance for naming only a few writers whose friendships have colored my writing career before I describe what qualities define the writing buddy relationship and introduce my writing buddy. Joe Walter was my first writer friend. By no coincidence, Joe was also my best friend in high school. We enjoyed reading science fiction, dreamed of careers as science fiction writers, and co-founded a science fiction fanzine when we were high school juniors as a way to see our stories in print. We read and critiqued each other’s work, collaborated on a few projects, and goaded each other into submitting our stories to the professional science fiction and fantasy publications of the day. Joe broke through first, selling a story to Vertex. 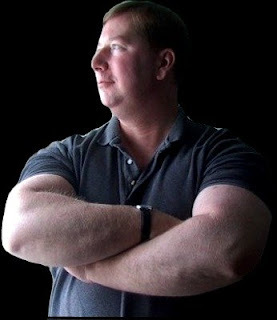 Unfortunately, Vertex ceased publication before ever publishing Joe’s story. We lost contact after high school, reconnected briefly several years ago, and then lost contact again. To the best of my knowledge, Joe never pursued a writing career beyond high school. Knights, the science fiction fanzine Joe and I co-founded, brought me into contact with real writers, several of whom wrote articles and letters of comment for Knights once it outgrew its earliest incarnation as a place for Joe and me to publish our short stories. Three of those writers—Charles L. Grant, Thomas F. Monteleone, and Grant Carrington—became columnists and, by extension, writer friends. In a variety of ways, both implicit and explicit, they taught me what it means to be a writer. All three read some of my work and gave me feedback. Charlie published one of my stories in his anthology Midnight; Tom rejected a story for an early edition of his Borderlands anthology series, but provided feedback that helped me place the story elsewhere; and Grant actually read and provided feedback on one of my earliest novel attempts. More than that, though, they demonstrated, through their generosity of time and by example, how writers pay it forward. Our lives and careers took us in different directions following the demise of Knights, in part because Charlie, Tom, and Grant were well into their careers, while I was in the early stage of mine and did not understand the value of maintaining relationships with other writers. Charlie has since passed away; Tom and I are Facebook friends; and Grant spent an evening with Temple and me a few years ago when he was passing through Central Texas on a multi-state road trip. As the years passed, other writing acquaintances and friendships developed—some were short-term, some have lasted years, and the length of a few friendships can be measured in decades. Finding a writing buddy, though, was like learning the secret handshake that we all deny exists. 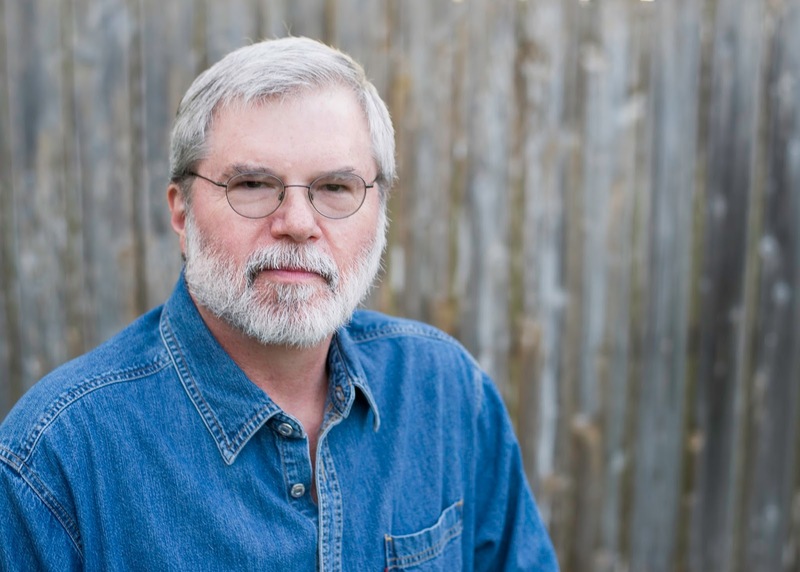 The relationship provides a second line of access into the world of publishing and a second perspective about the writing life from someone traveling the same writing path. A writing buddy is not a business acquaintance, a friend, or a critique partner, though the relationship may develop from such inauspicious beginnings. A writing buddy is a writer with whom you share inside information, complain about low pay and long response times, celebrate each other’s successes, and commiserate about each other’s failures. You write in the same genre or genres, place work in many of the same publications, and owe more than one sale to a tip provided by the other. You don’t read one another’s work until it is in print because neither of you needs the other’s approval nor wants the other’s writing advice. Perhaps most importantly, you know each other’s closely guarded pseudonyms. My writing buddy is Laird Long, a Canadian writer half a dozen years younger than me. Unlike some of us who tout our productivity through websites, blogs, Facebook posts, and Twitter tweets, Laird avoids the limelight, preferring to let his work stand on its own, and he makes those of us who think we’re prolific look like slackers. Since his first short story sale—“Dirty Work” (Blue Murder #19, Summer 2001)—Laird has sold more than 1,700 short stories, and for more than 16 years he’s supported himself primarily by writing short fiction. 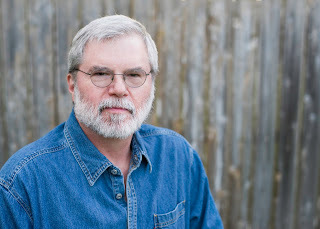 He supplements his short story income by writing greeting cards, and in 2013, PageTurnerEditions released his only novel to date, No Accounting for Danger. Laird and I have never met and have never spoken. In the early 2000s, we encountered one another through posts on the Short Mystery Fiction Society Yahoo group, and in 2005 he contributed a story to one of three anthologies I edited that never reached publication. Though our initial contact was via the Short Mystery Fiction Society, our relationship developed and is maintained entirely via email. Rarely does more than a week pass without contact, and some days we exchange several emails. Our discussions are rarely about writing, but often about the business of writing—who’s buying, what they’re buying, what they’re paying; which publishers pay promptly, which ones have started dragging payments, and which ones have stopped paying; which anthologies and publications are open to submissions only to those in the know and how to become a writer in the know. I’m not certain how or when our relationship morphed from writing friends to writing buddies, but it came with the dawning realization that our writing paths are similar, our writing goals are similar, our willingness to explore a diversity of genres is similar, and that while neither needs the other, we benefit in ways that we do in no other writing relationship. While trying to explain the nature of this relationship to my wife Temple, she wondered if other writers have writing buddies. I felt certain they must—though they may have different terms for the relationship—but as I pondered her question during the following days, I began to doubt my conclusion. A writing buddy is a rare gift, something found rather than something sought, and it transcends all other writing relationships. I don’t write better because of my relationship with Laird, but I’m a better writer because of it. Whether we touch base once a week or once a year, I cherish all my writing friendships. We swap emails, connect via Facebook and Twitter, respond to one another’s blog posts, hang out together at conferences and conventions, and sometimes even visit one another’s homes. Though the act of writing is often a solitary event, the writing community will embrace us if we let it. So, cherish your writing friends, and if you’re lucky enough to have a writing buddy, realize that you’ve received a gift. Don’t squander it. 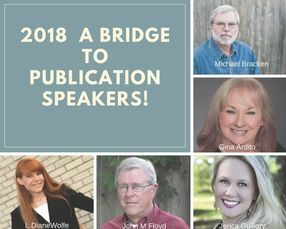 Speaking of writing friends: Fellow SleuthSayer and long-time writing friend John M. Floyd and I will be among the speakers and workshop leaders at A Bridge to Publication, a one-day writing conference October 13, 2018, in Lake Charles, LA. 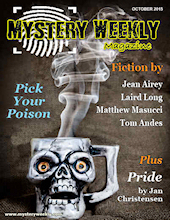 In other news, my alternative history mystery story “Harlot Road” appears in Weirdbook #38. Great tribute, Michael. And congratulations on "Harlot Road". This is a terrific post, Michael--as always. You have as much of a gift for these blog posts as you do for writing short stories, a master of each! So much appreciate the perspectives here--and great seeing you and Temple at Malice! Cool insight into a writer's life. Always interesting. Thanks for your kind comments, Eve, Art, and O'Neil. And, Art, I know a guy who knows a guy—you know what I mean?—so when you least expect it, you might just get that kick in the pants. Great column, Michael. It always surprises me just how well we can get to know one another sometimes, before ever meeting face-to-face. That's one of the best things, I think, about national and regional conferences--they feel like reunions, because so many of us are already acquainted with each other via our online connections. Looking forward to seeing you in Lake Charles this fall. Best to Temple. You're right about conferences, John. They do feel like reunions. Temple and I attended our first Malice Domestic this past weekend, and I was surprised by how many people I knew and how many knew me. Even more surprising was how many people knew (or knew of) Temple, even though she isn't a writer. I recognize that I too have a "writing buddy' now... though I didn't know what to call him before. But yeah, it's a beautiful thing, to have that common goal and support even if you never actually meet. Thanks much for this! Oh, your upcoming conference in LA sounds terrific. If I was closer, I'd go!